Hey All! Look at this kitchen I found for this Monday! It is classified as a "country style kitchen." 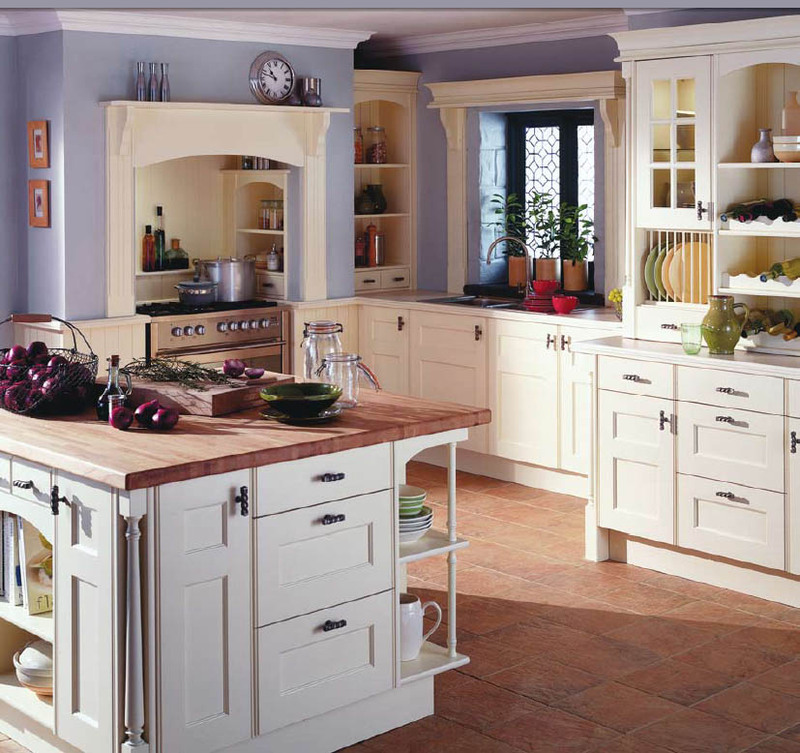 The kitchens that are represented by this classification usually tend to be warm and cozy, and very welcoming. What I truly find interesting with this particular kitchen it the area surrounding the stove. The stove appears to be set back into a nook with shelving. Very interesting!! I have mentioned before I'm not a huge fan of kitchen islands, but this one seems to have enough space around it to be very functional, as well as lots of storage included with the island. The window area by the sink is a nice touch. I think the handles on the cabinets add a lot to the "country style" in this kitchen. I'm not a real fan of the flooring here. I think the color is good as it matches the table top on the island, however, I think a wood flooring would look better. Whilie I like the one pantry, I do not care for the open shelves. I would prefer to have a glass door covering those shelves, similar to the door above the plate rack.